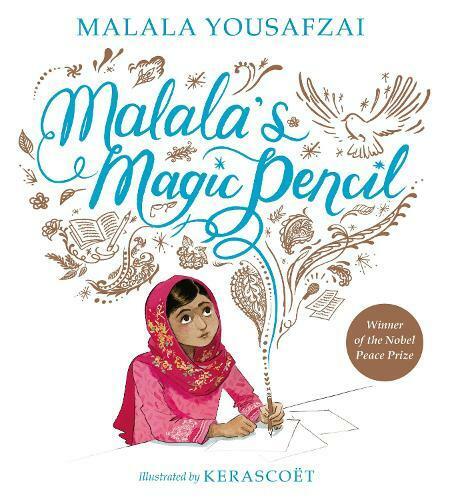 As a child in Pakistan, Malala made a wish for a magic pencil that she could use to redraw reality. She would use it to give gifts to her family, to erase the smell from the rubbish dump near her house, to sleep an extra hour in the morning. As she grew older, Malala wished for bigger and bigger things. She saw a world that needed fixing. And even if she never found a magic pencil, Malala realized that she could still work hard every day to make her wishes come true. This beautifully illustrated picture book tells Malala’s story, in her own words, for a younger audience and shows them the worldview that allowed her to hold on to hope and to make her voice heard even in the most difficult of times.